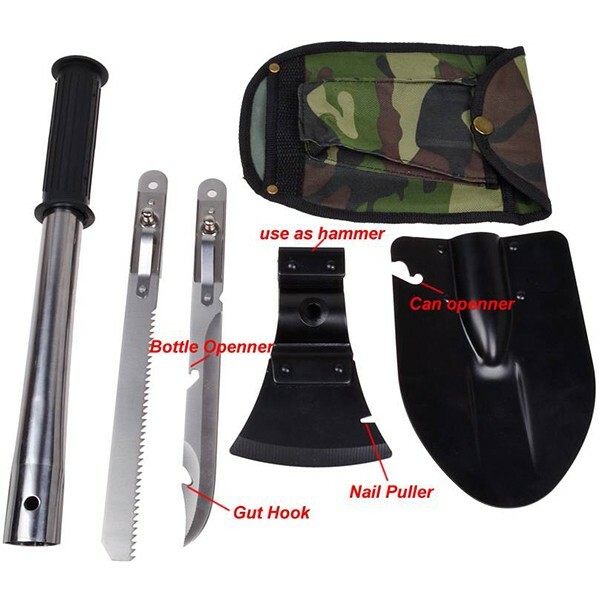 This multipurpose survival tool comes packed in a durable nylon camo sheath and can break down to 6 pieces—-shovel head, axe head, knife blade, saw blade, handle and camo sheath which can turn into multiple tools working as shovel, axe, bottle opener, wood saw, hammer and nail puller by easy assembly. You can choose which one you need to lock in place. 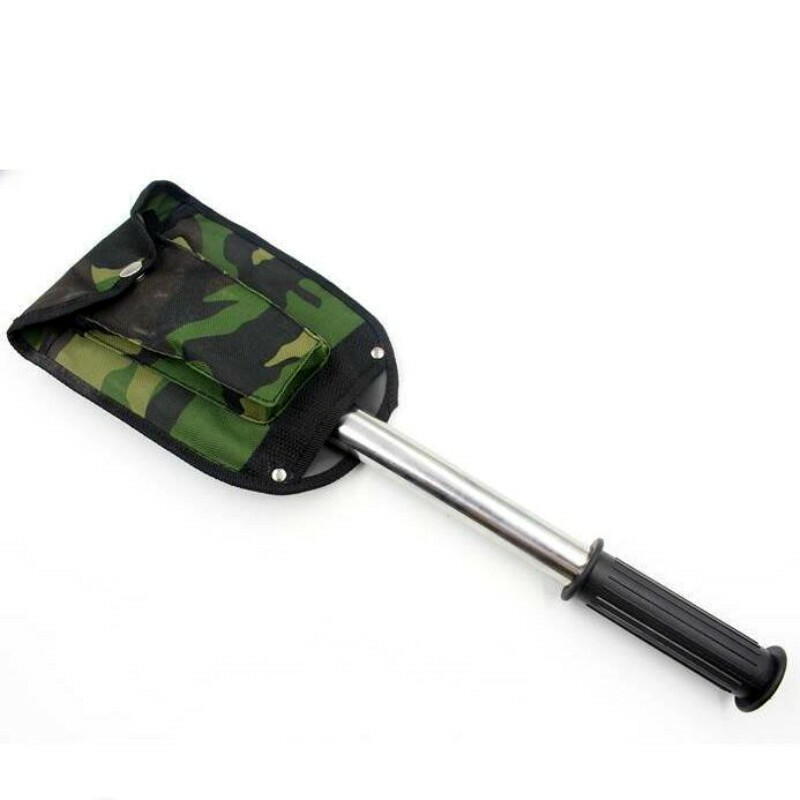 The handle is rubberised with textures on for anti-slip grip during use. 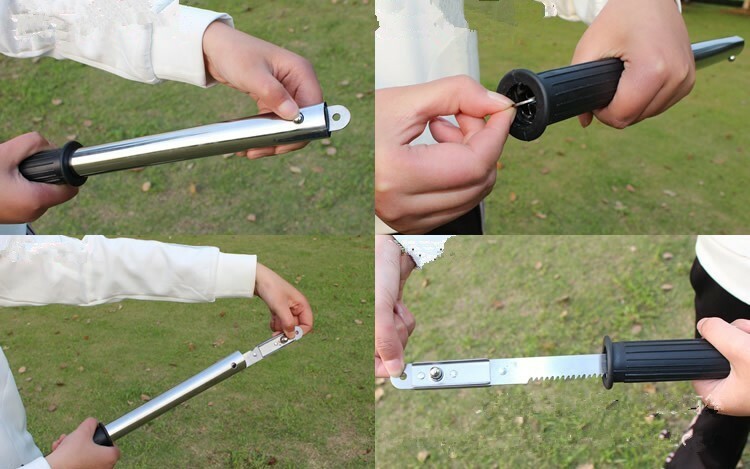 This survival tool folds so that it’s compact and easy to take with you anywhere needed. 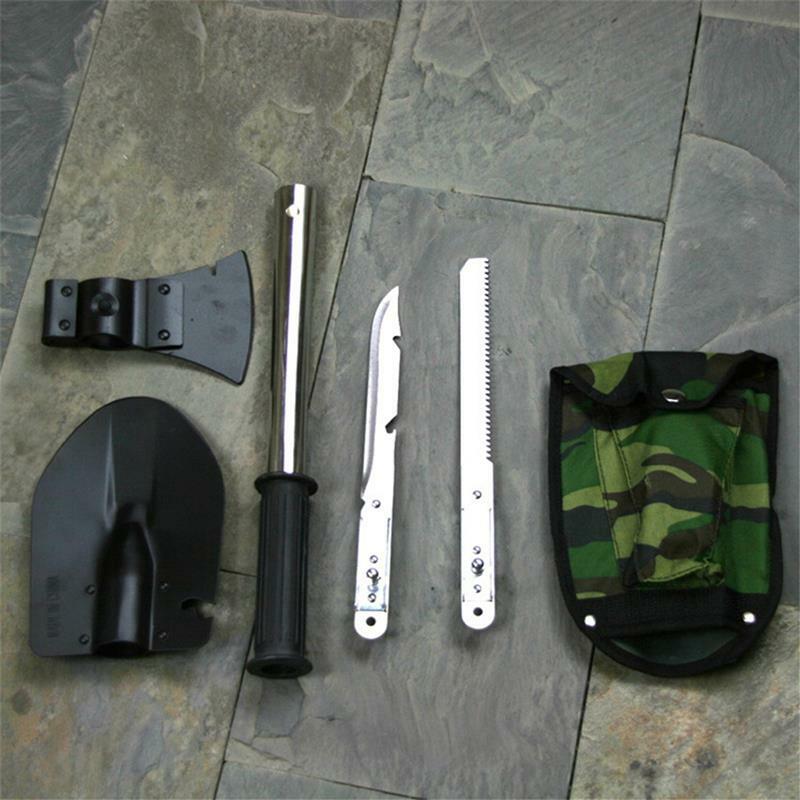 You can take it to camp, hike, travel, etc. It helps to pack less when you’re going outdoors! Arrived quickly, and comply with the description.